* Use a payroll service – we suggest Way2Paye, Zest and Nannytax. * Use an Accountant – Can be Expensive. * Not declaring employment – A criminal offence. * They will administer all HM Revenue & Customs requirements and provide you with our experienced, friendly and professional service. * They will email or post you your employee(s) payslips. * All you will need to do is give them initial information on employee/employer, advise them of hours or amounts if they vary, make payments to your employee(s) on pay day and pay HM Revenue & Customs quarterly. * They offer a service for New and Established employers and short term employments. Way2paye is an established payroll company offering all clients a friendly and professional service. They do everything required by HM Revenue & Customs and go that much further in helping you with other payroll issues that may arise. 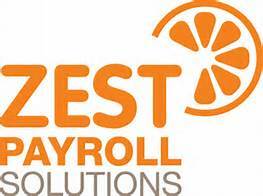 Zest Payroll Solutions operates a friendly, reliable payroll service to help parents employing a nanny on a temporary / pay-as-you-go basis. They don’t charge you an upfront annual fee, you just pay on a monthly basis for as long as you need them.